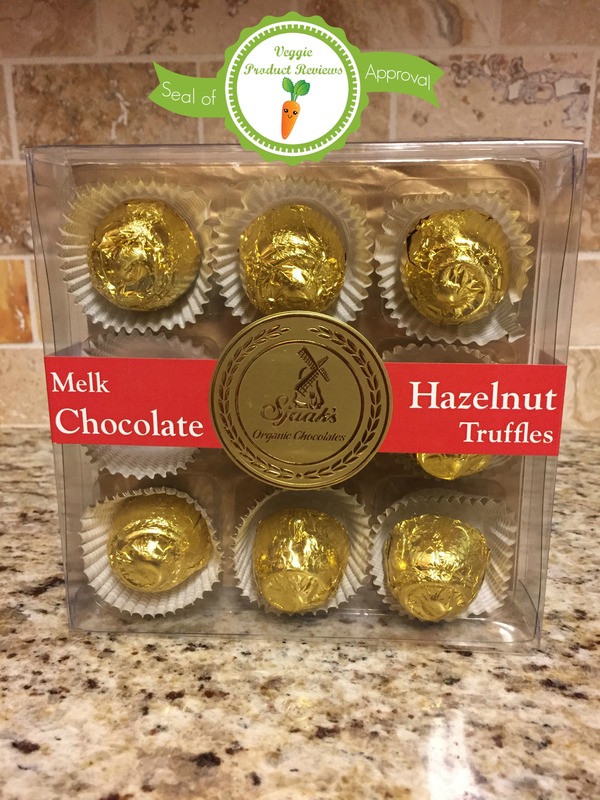 Do you remember those popular chocolate hazelnut truffles? They aren’t vegan. Pretty disappointing, I know. I’ve been longing for a vegan version and finally Sjaak’s has come through. These are incredible. They have a smooth milky-chocolate hazelnut taste just like I remember. I don’t know if this is a true con, but they don’t have the delicate crunchy shell that I remember the non-vegan version had. Slightly pricey ay 11.99 for a box of 9, but you get what you pay for. 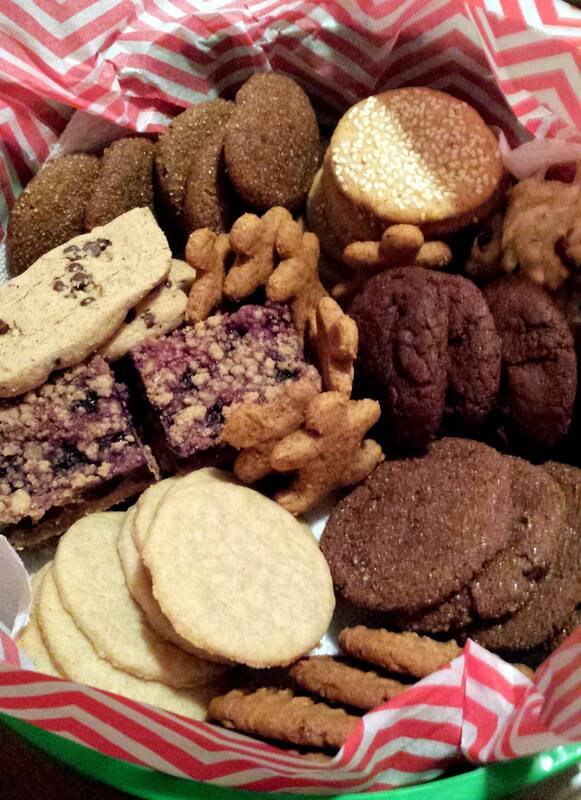 These are definitely worth it for a gourmet, nostalgic holiday treat! I wish they were more widely available. 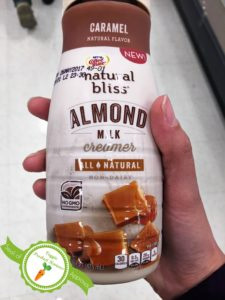 I purchased from VeganEssentials.com but I would love to see them in Whole Foods some day! When I was in the third grade, I had this obsession with Sesame Street records. Yes, third grade…stop judging. Our local public library had two of them. You were allowed to check out one record at a time for a week. So I alternated between the two of them. I’m not sure how long this went on, but I’d guess about six months. My parents probably felt like it was six years. Of course, one of my favorite songs was the classic “C is for Cookie” by Cookie Monster. Just in case you’ve been living under a rock since the 70s, you weren’t allowed to watch TV as a child, or you just want to reminisce with me for a few minutes, here’s the video. Despite Sesame Street’s later attempts at giving Cookie Monster a little more self control, we know it’s all about the cookie for him. 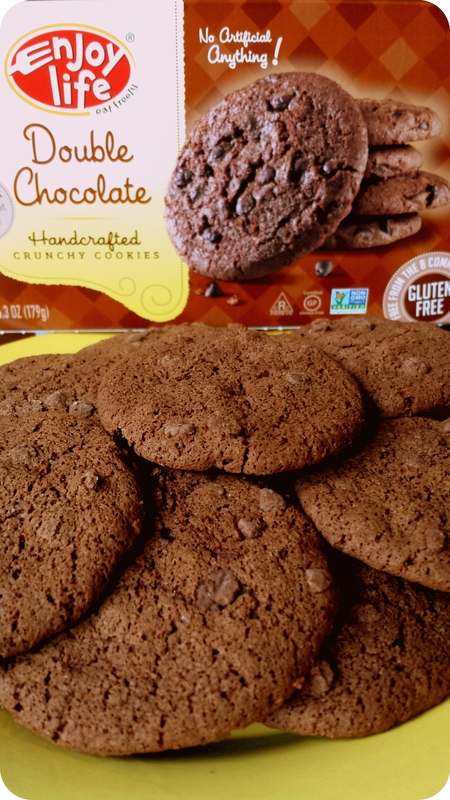 So, if Cookie Monster were a (gluten-free) vegan, I think he’d be eating the Enjoy Life Double Chocolate Crunchy Cookie. I have this theory that the choice to have cookie monster eat regular chocolate chip cookies was purely a cinematic one*. That blonde color shows up against his blue fur much better than a dark brown cookie would. But in real life (no, I’m not completely crazy, I do kinda know he’s a puppet), I think he’d have been all about the double chocolate. 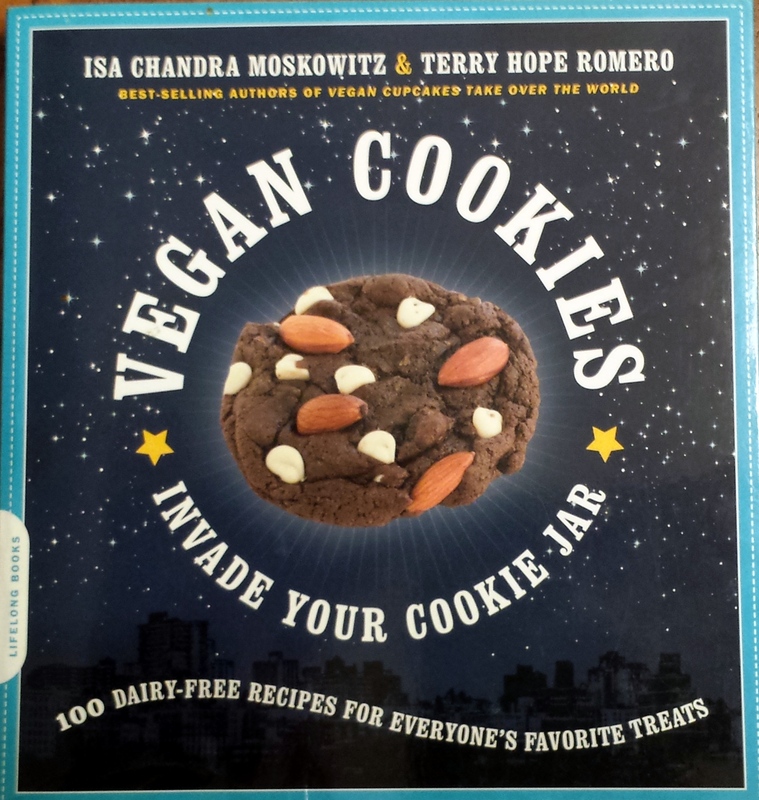 It’s no secret to people that have talked to me about vegan, gluten free products for more than 20 seconds that I’m not typically a fan of boxed vegan, gluten free cookies. I waiver between thinking the companies don’t have taste testers and the taste testers have been without gluten for so long that they’ll eat anything round that has a little sugar in it. My homemade ones are better any day. I’m not a fan of the soft Enjoy Life cookies. I was hesitant to try the crunchy ones. But, the first time I saw them, it was a little 2-cookie pack at a discount store, so I figured I’d give it a whirl. I’m sure glad I did. YUMMY! The double chocolate ones have a deep rich chocolate taste, just bordering on too sweet for me (but not for my sweet-toothed sister). I can bake a soft cookie, but I’ve never gotten the crispy chocolate chip cookie down. Enjoy Life has. 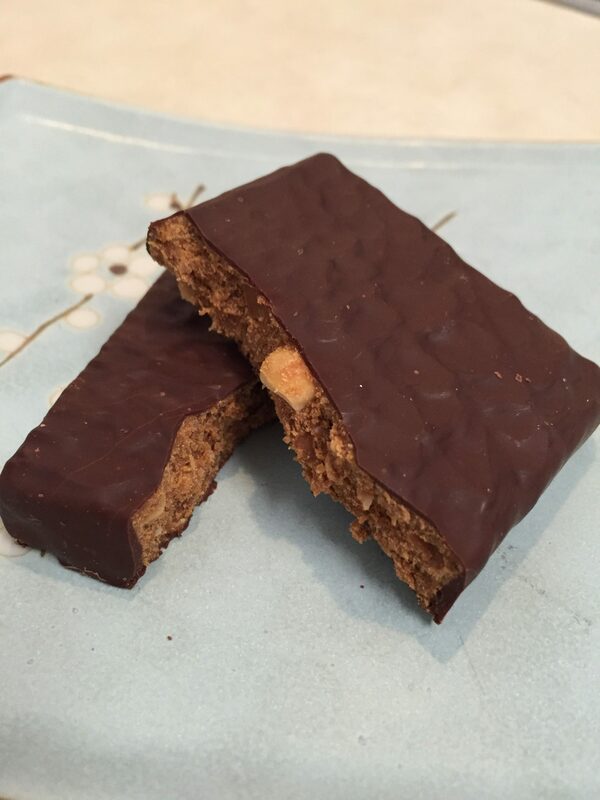 It’s crunchy without being dry and crumbly. My sister even had the crazy idea to heat it up. I predicted either a disintegrated mess or a hockey puck. I was wrong. Wrapped in a damp paper towel and heated for 10 seconds, you get a softer cookie with ooey gooey chocolate chips (you lose a little bit of them to the paper towel). I prefer room temperature or even cold baked goods, but if hot is how you roll, it’s not completely out of the question here. Despite whatever issues you’ve had with prepackaged cookies in the past, try the Enjoy Life Crunchy cookies (be careful, some varieties have honey). I predict you’ll be glad you did. It’s that time of year! I’ve finally found some autumn-y products to try! 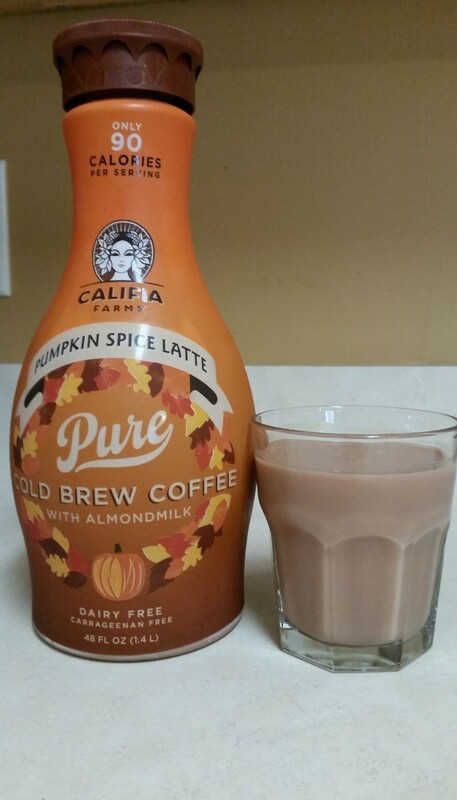 This is a review of 2 awesome vegan autumn eats/drinks… Califia Farms Pumpkin Spice Latte and Bark Thins Snacking Chocolate in the Dark Chocolate Pumpkin Seed with Sea Salt flavor. 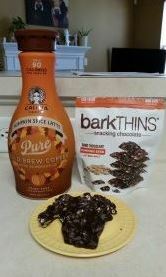 Next is the Bark Thins Snacking Chocolate in the Dark Chocolate Pumpkin Seed with Sea Salt flavor. At first I thought the combination of chocolate and pumpkin seeds was strange, but I decided to buy it anyways. 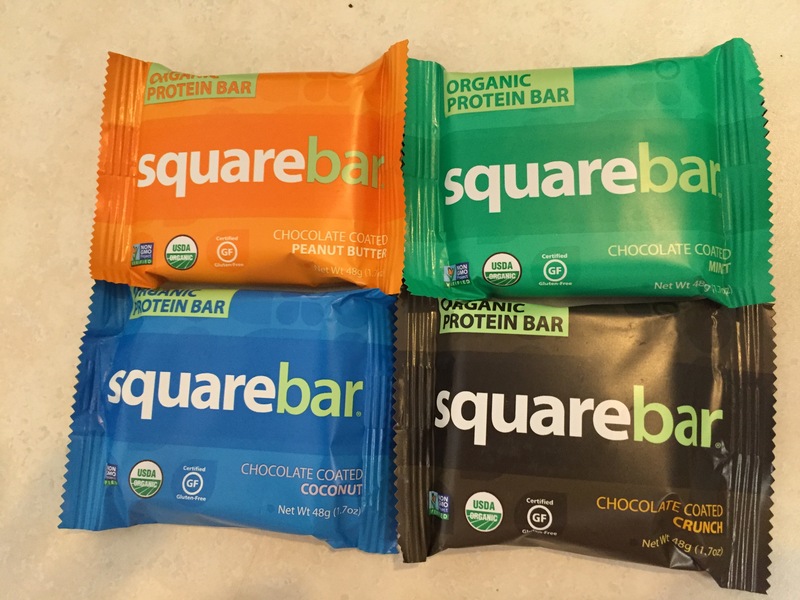 There were 3 taste testers and it was a big hit with all 3 of us. 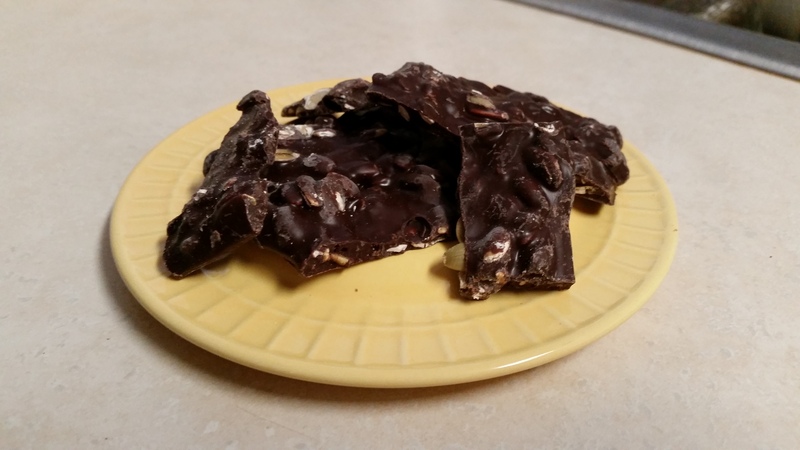 The chocolate was rich and dark and it worked perfectly with the pumpkin seeds. These 3 products make it simple enough for anyone to whip up (no pun intended) this awesome dessert! I was going to save it for the end, but why wait? Here’s what my end result looked like. It tasted pretty fabulous. 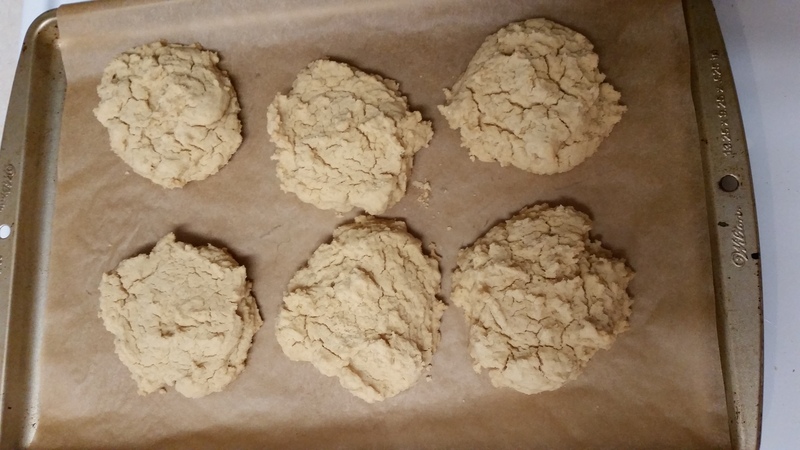 I started out by making the Eat Pastry Gluten-Free Biscuit Mix. The biscuits had a really good flavor, but they were a bit on the crumbly side. 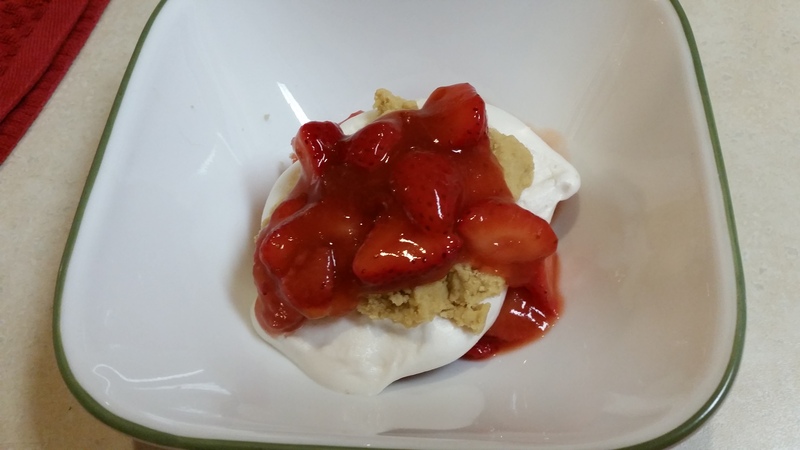 For strawberry shortcake, that was not a problem. However, if I had had my heart set on using them for biscuit sandwiches, it would not have met my expectations. 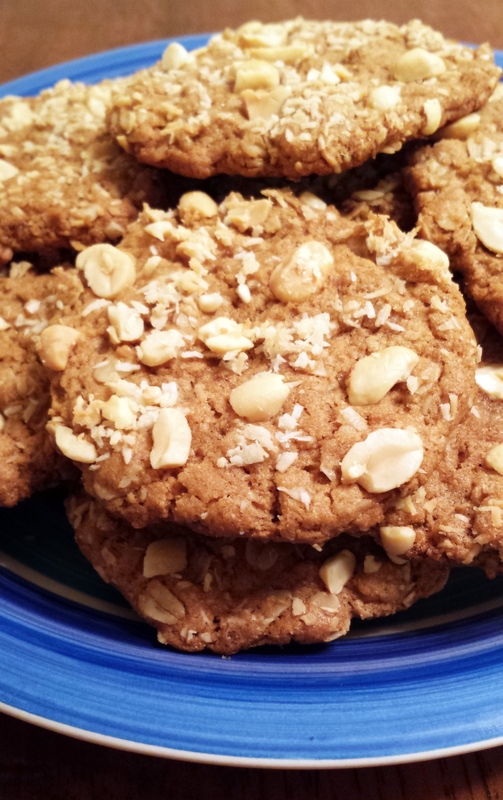 I should also mention that I used almond milk in the mix. 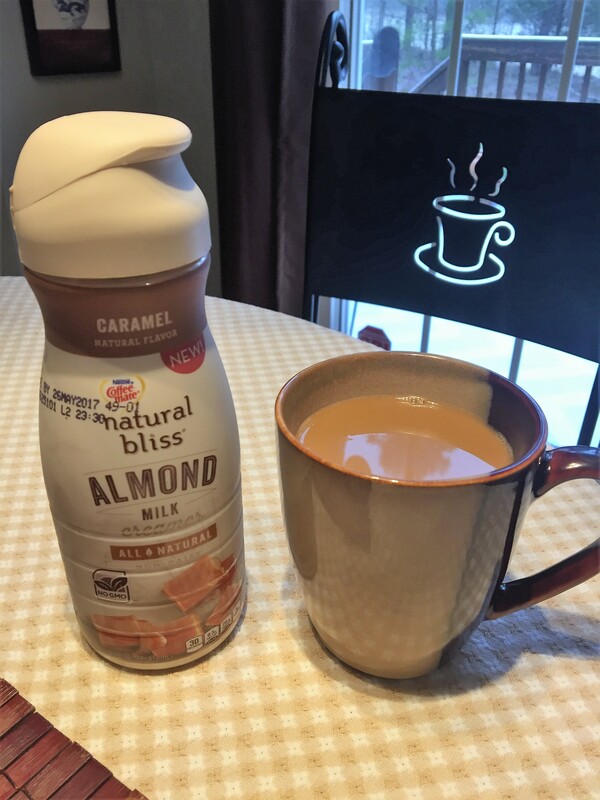 I wonder if soy milk or a different non-dairy milk would have made a difference. The mix itself was very easy to make. 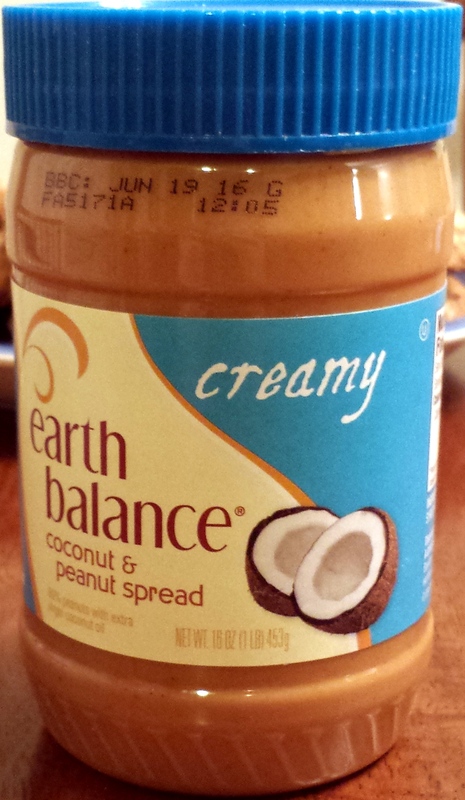 All you need to do is cut in some Earth Balance, add some non-dairy milk, and then bake. 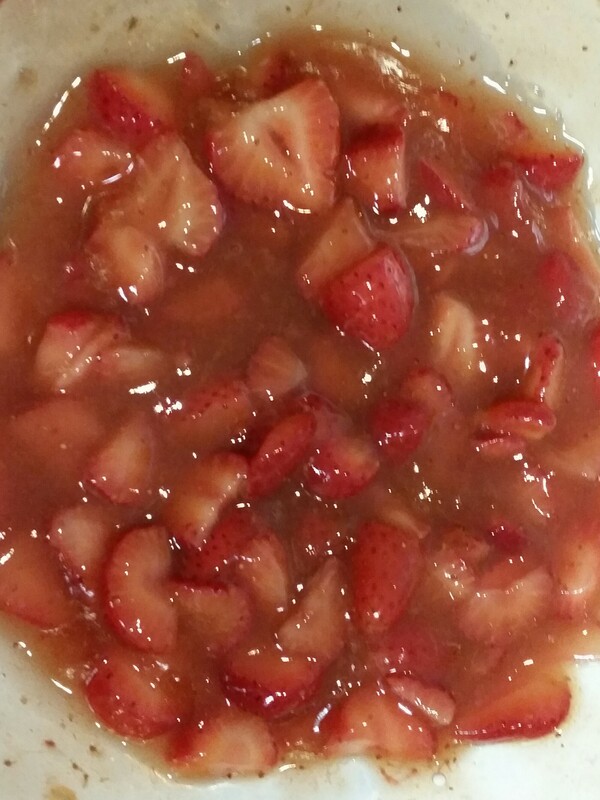 My next step was the strawberry mixture. 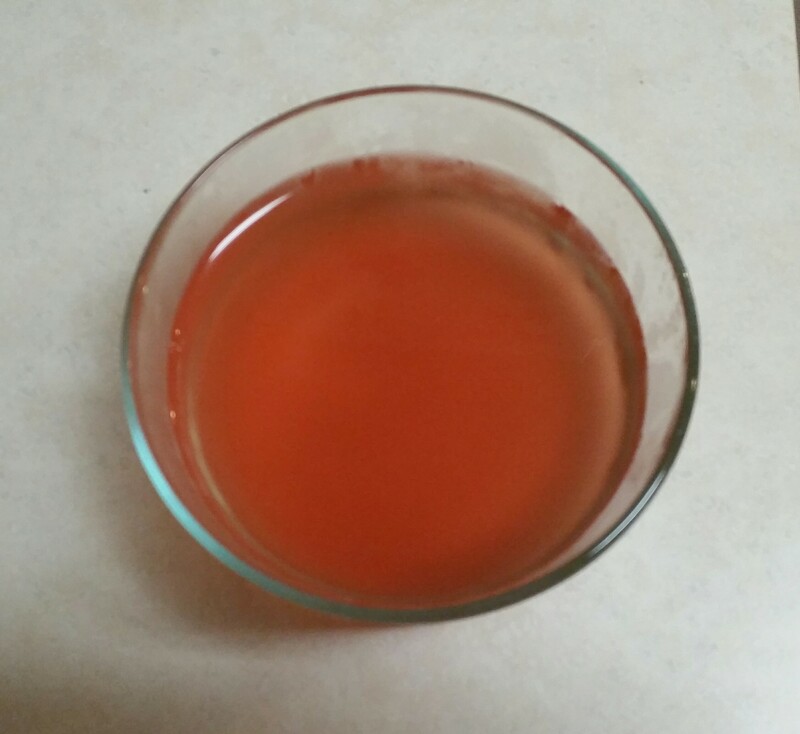 I cut up some fresh strawberries, added about 3/4 of a jar of Organic Bionaturae Strawberry Spread, and a few tablespoons of water. The spread sweetened the strawberry mixture and gave it the perfect flavor. The water thinned it out a little bit so that it soaked into the biscuit. Last but not least… the whipped ‘cream’. I used Soyatoo! Soy Whip. This is a whippable soy cream that comes in a box. Here is what the product looked like right out of the box. 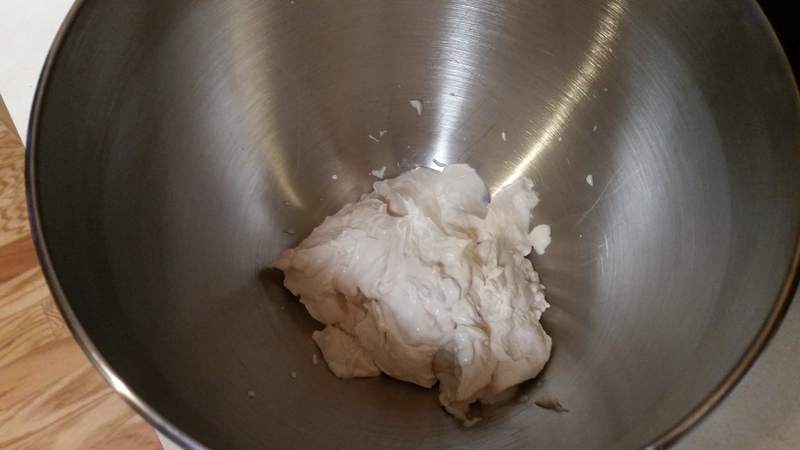 After about 2-3 minutes of whipping in my stand mixer, it looked like this! The Soy Whip was light, fluffy, and slightly sweet. Perfection! I do want to mention that it’s important to use the whisk attachment. 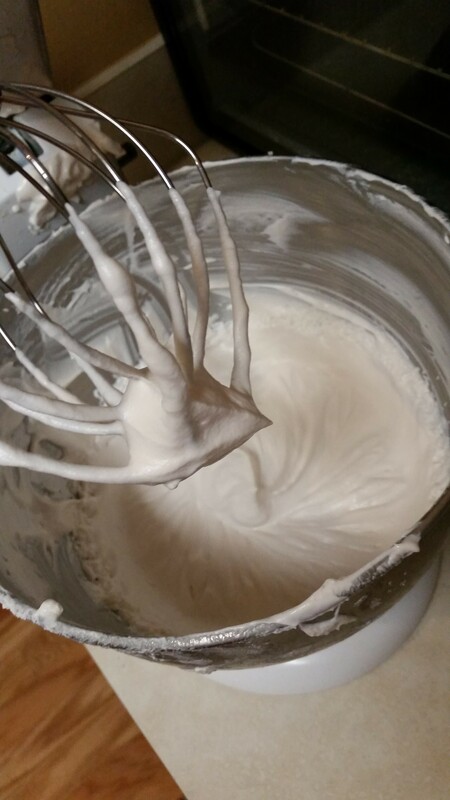 I started out by using the regular stand mixer paddle and it was not whipping up. Once I switched attachments, it was magic. I layered all three of these together and it was a great success. 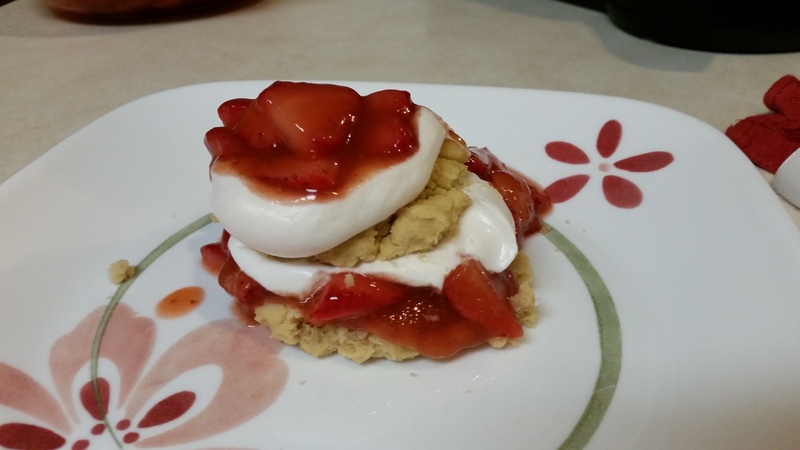 The strawberry mix soaked into the savory biscuits and the cream was a much anticipated treat! The theme for today is retro. My recipe is not very fancy or exciting, but I do think it falls into the retro category. And it was fun! and nostalgic. It’s been a long, long time since I’ve eaten Jello. When it comes to desserts, I usually favor rich and decadent, as opposed to fruity and sugary. Despite that, I thought it would be fun to give the vegan BaKol Natural Foods JEL a try. First of all, like the well-known gelatin based version, this stuff was VERY easy to make. All you have to do is boil water, pour it into a bowl and mix it with the powder, then stick it in the fridge for a few hours. Piece of cake. 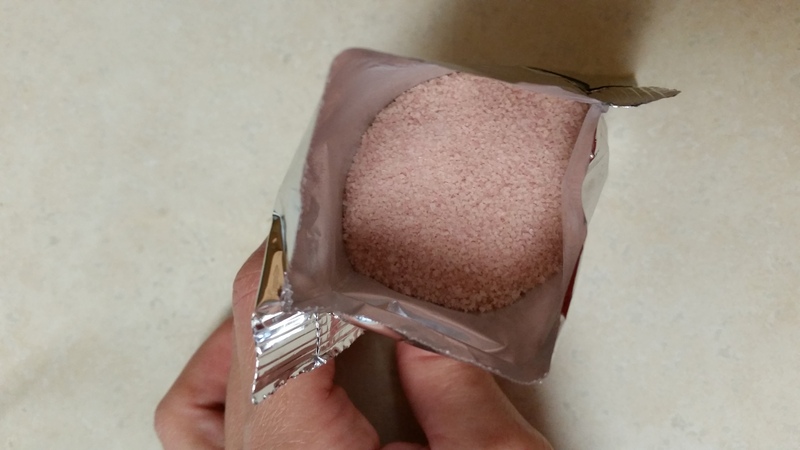 I would like to note that when I opened the powder packet, it smelled strongly of sweet cherry goodness. I took it out of the fridge 5 hours later. The color was on the lighter side but it DID set. 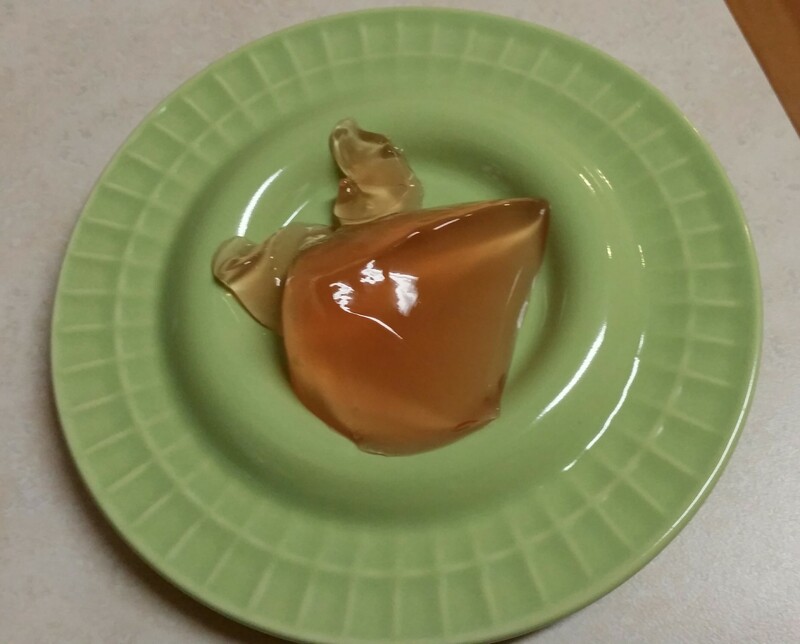 It wasn’t as firm as I remember Jello, but it worked. Overall, I’d say this is a pretty cool product. No animals products needed to get that familiar jiggly sweetness that we were so found of as children. 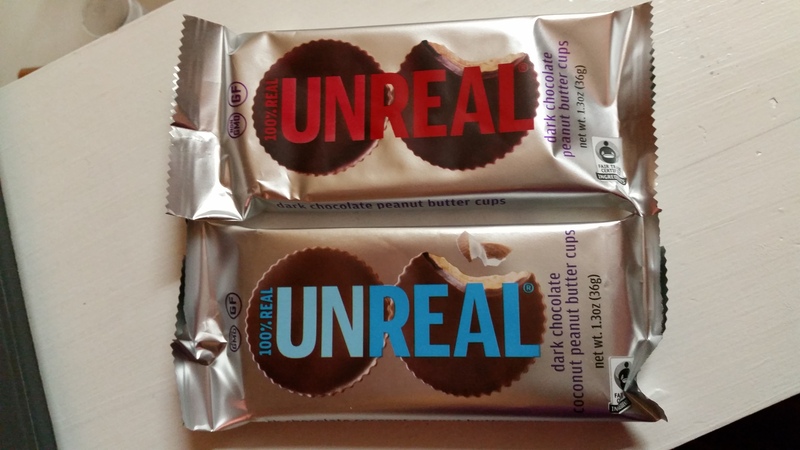 Also worth noting – the front of the package reminds you that this product is vegan, gluten free, non-GMO, and free of any artificial flavors or colors. Even better! 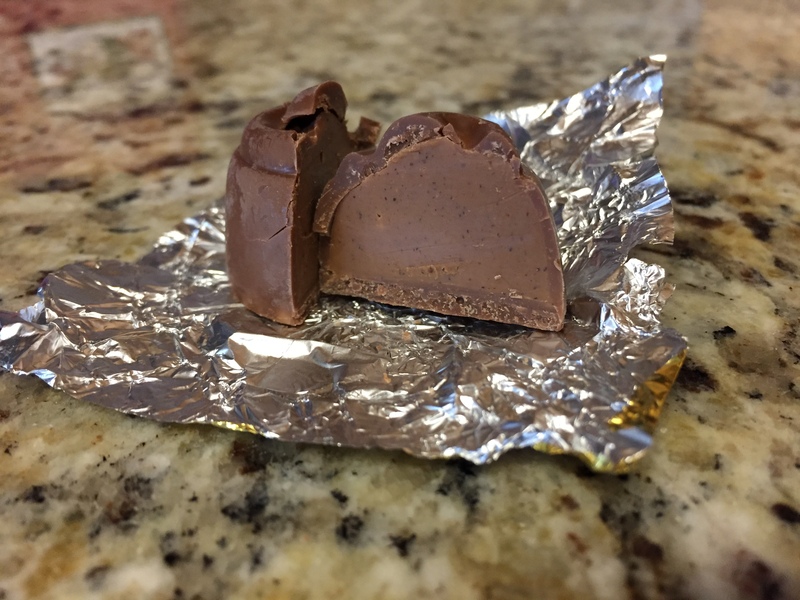 There are some new vegan peanut butter cups in town. I’m not going to lie, I’m a sweets fan. Maybe a little too much of a fan. My breakfast is normally a bit boring, but sometimes I like to have a little something special. 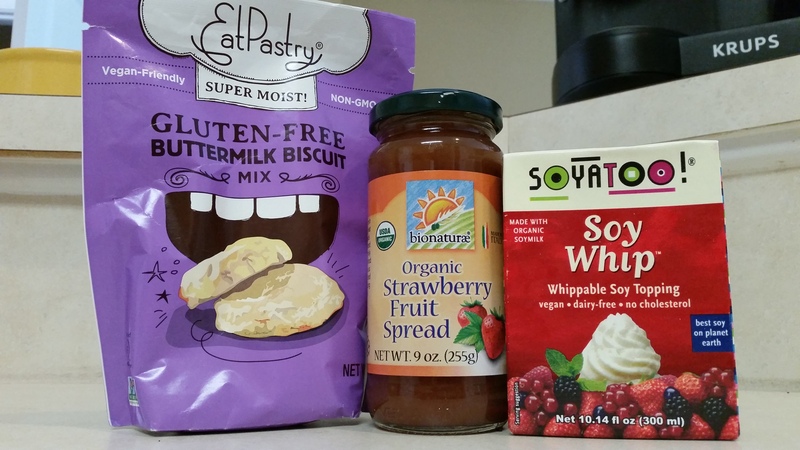 Enter the delicious Eat Pastry quick vegan and gluten free mixes. 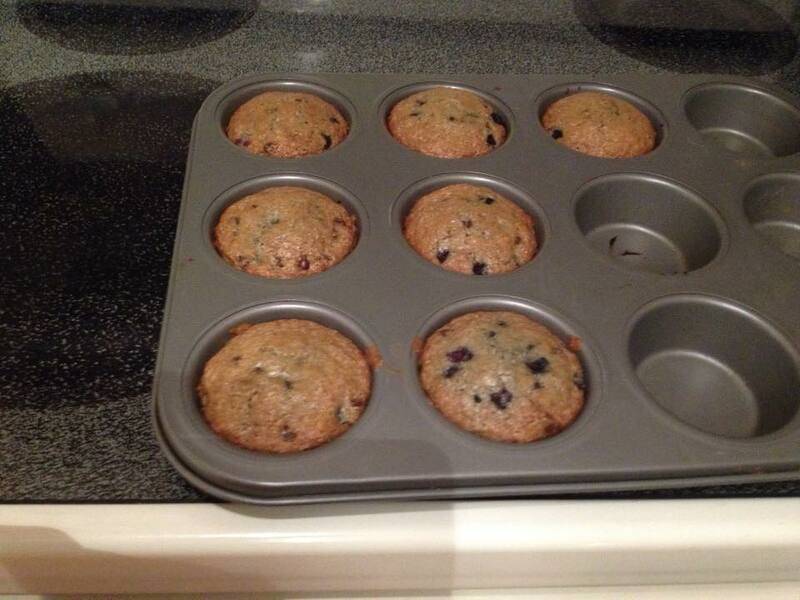 I tried the muffin mix first adding organic blueberries and mini vegan chocolate chips. The mix was easy to use and only required a couple of ingredients. The instructions were clear and the end product was delicious, moist and satisfying. I cut my muffin open and smeared vegan butter on and noshed on my little blueberry delight. I allowed myself to have one a morning until they were gone. I did have to share with the hubby though. Boo! My only complaint with this mix is that it made six muffins. I stretched the batter to make seven so that they would last longer, but then my muffins were smaller. I like to make 12 muffins at a time. In my mind, more sweets is better!